Good monsoon, farm loan waivers and push to rural infrastructure are creating demand in non-metro and rural areas at a time when consumption in urban areas has remained subdued. Research agencies are predicting a double digit or strong single digit growth for FMCG and auto sectors in December quarter on the back of increased rural consumption. The outlook for next financial year looks equally bright in terms of rural and non metros. Marketers are now expecting that the rising rural consumption story will help companies that were hit because of demonetisation and GST, to post even better growth, given that the upcoming budget is likely to give a mega push to development projects in rural areas. Baba Ramdev's Patanjali Ayurved is expecting rural demand to grow at 25 per cent and Parle Products is also expecting the rural and rest of urban to post strong demand. Patanjali's spokesperson SK Tijarawala said that the company will keep growing at a faster pace in rural and non metros as it's working on the philosophy of offering world class products at the lowest possible price. "The mindset was created that urban people will consume world-class product while rural consumers will have access to local products. We had the vision to make the world-class product available to every consumer at the lowest possible price," Tijarawala said. Indicating the growth in sales number coming from the non-metros, Parle Products Moving Annual Total until March 2017 grew at 16.5 per cent in urban, 17.5 per cent in rural and 17.5 per cent in rest of the urban. 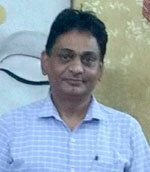 BK Rao, Deputy Marketing Manager, Parle Products said, “The rest of urban is growing faster than rural or urban areas. While this growth is coming from across the categories, it is largely driven by FMCG followed by durables, automobiles and telecoms. Sushil Matey, Director, Marketing, at Livpure says that the increased digital penetration is a major reason for growth in rural areas as consumers are now seeking world class products because they're better informed. Livpure’s market share in top eight cities is just three per cent, in next 45 cities is five per cent and in the rest of 400 cities, it is 11 per cent. "We are spending heavily in the non-metro cities. There is an increase of more than 50 per cent in marketing and advertising spends from last year with the brand’s focus majorly on tier II and tier III cities," Matey said. Increasing disposable income, high literacy rate and expanding penetration of smart phones and mobile internet will remain the growth drivers in rural and non metros in the coming years. “All the resources in terms of manpower, marketing, advertising and service are focused on the remaining 400 location as Livpure has more share and hold in these markets compared to top 8 and the next 45," added Matey. While most marketers expect growth coming from the non-metros, Sandeep Verma, Managing Director, Bajaj Corp has his reservations and expects rural growth to be a little bit sluggish in 2018. Bajaj Corp expects a growth of 7-8 per cent coming from urban and rural and tier II and III growing at 4-5 per cent in 2018. In FY18Q1, Bajaj Corp saw rural growing at the rate of 12-13 per cent, which eventually dipped due to GST implementation. The sales coming from tier II, III was neutral for the company. The FMCG companies are focusing on product innovations to get price sensitive consumers in rural and non-metros to experience the products to enhance their consumer base. Other than focusing on strengthening the distribution network, Patanjali is also focusing on introducing smaller packs at Rs 5 and Rs 10, which attract the rural consumer. “The consumer today expects high-quality products which we already have but we need to package in the right size to offer them at an affordable price. Along with these, we will be strengthening our technology support to manage the data more effectively," said Tijarawala. Another factor that will contribute to the sales of companies in rural and non metros is expansion of e-commerce that has paved way for brands to reach out to the places where they could not have earlier. Around 1,55,000 post offices in India now deliver goods to customers in otherwise remote areas. India Post has collaborated with more than 400 e-commerce websites including big ones like Amazon and Flipkart. Understanding the potential, Patanjali is also launching big on the e-commerce platforms to reach out to its main target audience that resides in the non-metros. The companies have realised that what sells in urban might not sell in rural or semi-urban. With increased relevance of rural and non metros, the marketers have also gone down to the detail to device marketing and communication strategies for these markets where aspirations of consumers are on a rise. Rural markets are most heterogeneous in nature. Unlike their urban counterparts, where the demand for goods and services are highly concentrated in nature, rural markets tend to be spread out across the country. "The times have changed and most of the companies have now moved away from that format. They are tailoring the communication. The broad decision can be similar, but drivers are different," added Verma. Considering these reasons, Matey said, “The marketing strategies would have to differ to stay valid to the consumers that we target. Rural marketing will have to have a lot of relevant content that can talk to that particular customer in their own language. Door to door campaigns in the vernacular languages, outdoor activities and other onground activities work well in rural cities. To market in regions where there is no electricity and literacy rates are low, brands reach out to the consumers in an innovative manner. Patanjali relies more on wall paintings along with organising Yoga camps as Baba Ramdev is a brand in media dark towns as well. Livpuredoes door to door campaigns through vans, outdoor display, rickshaw and auto campaigns to create brand awareness. However, Leo Burnett's Sinha believes that calling any part of India a media dark area anymore is a misnomer. “Media dark in today’s time is a misnomer. If you say television is the only media then it’s wrong. Today there are 400 million mobile phone connections. The size of media dark areas is exaggerated,” he said.